zcisZya6ROQ Christmas time during a war is difficult. Watch this clip and think about how the soldiers are coping. 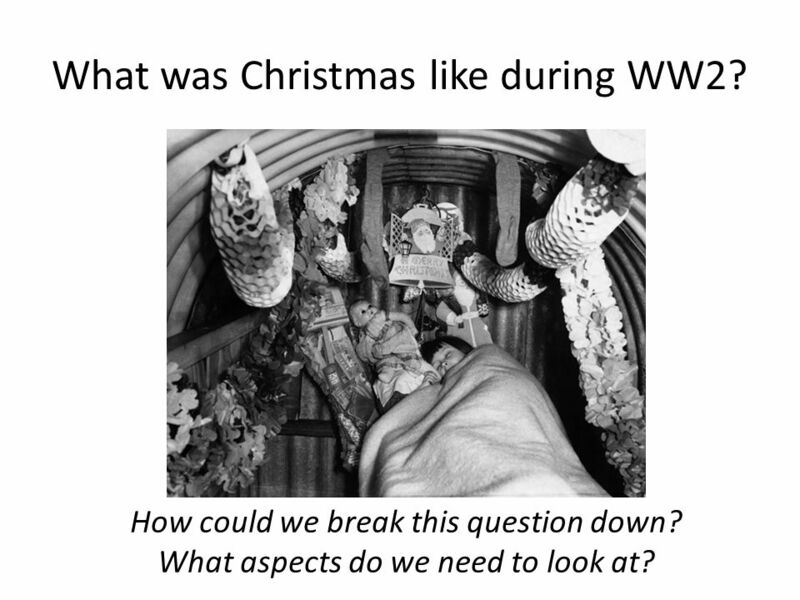 2 What was Christmas like during WW2? How could we break this question down? What aspects do we need to look at? 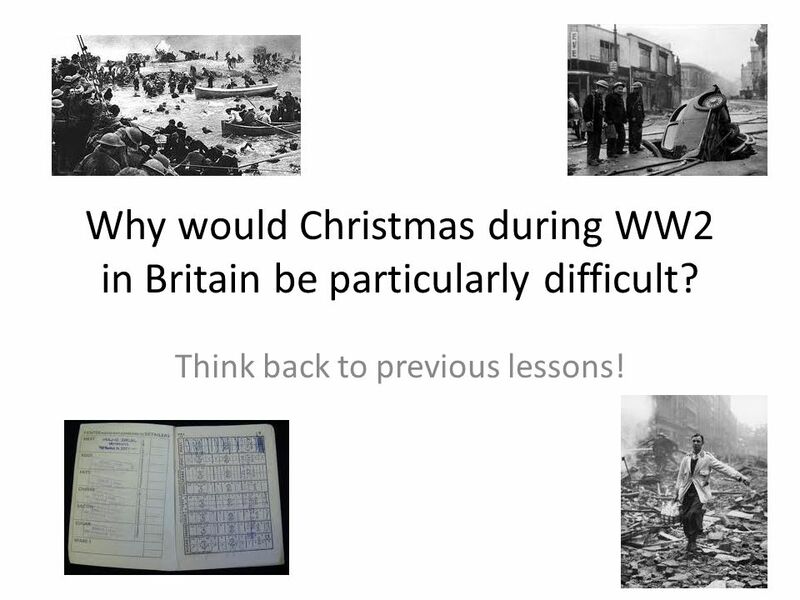 3 Why would Christmas during WW2 in Britain be particularly difficult? Think back to previous lessons! 6 What are these posters advertising? 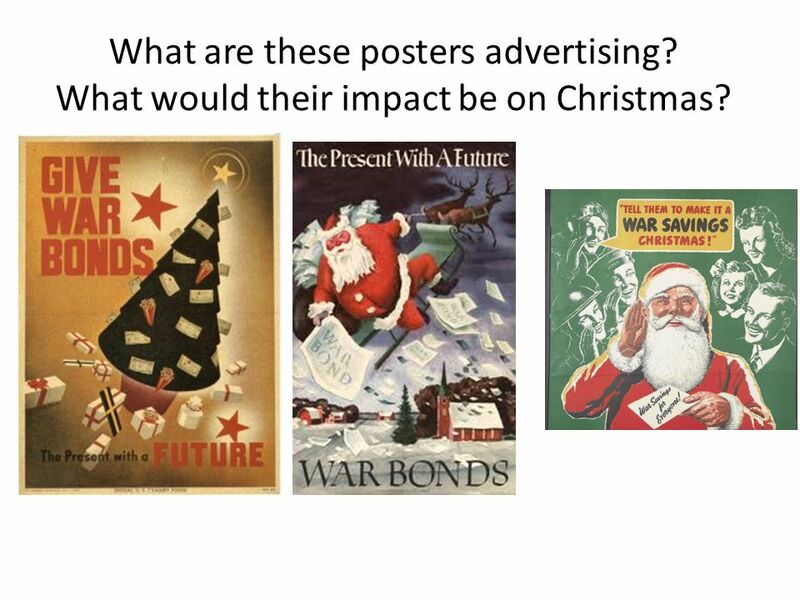 What would their impact be on Christmas? 7 Make do and mend! Christmas was hard with little resources. People had to make do and mend! 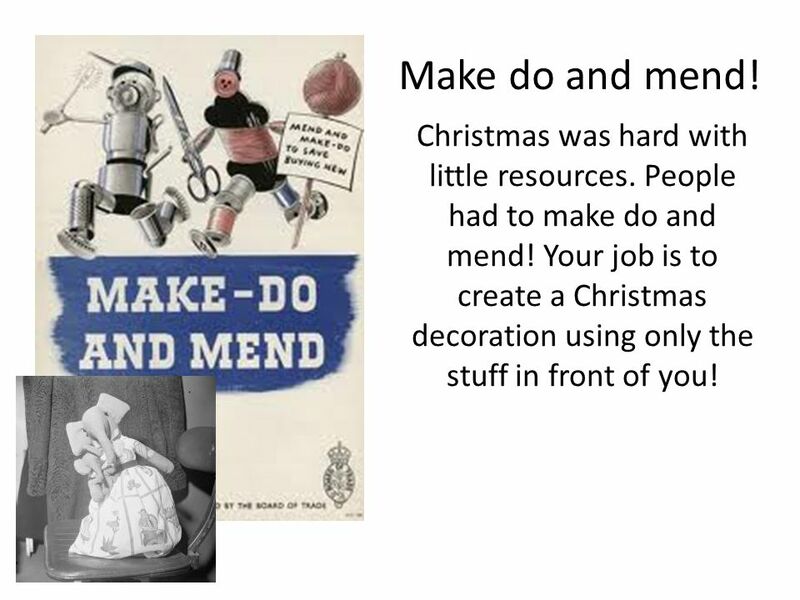 Your job is to create a Christmas decoration using only the stuff in front of you! 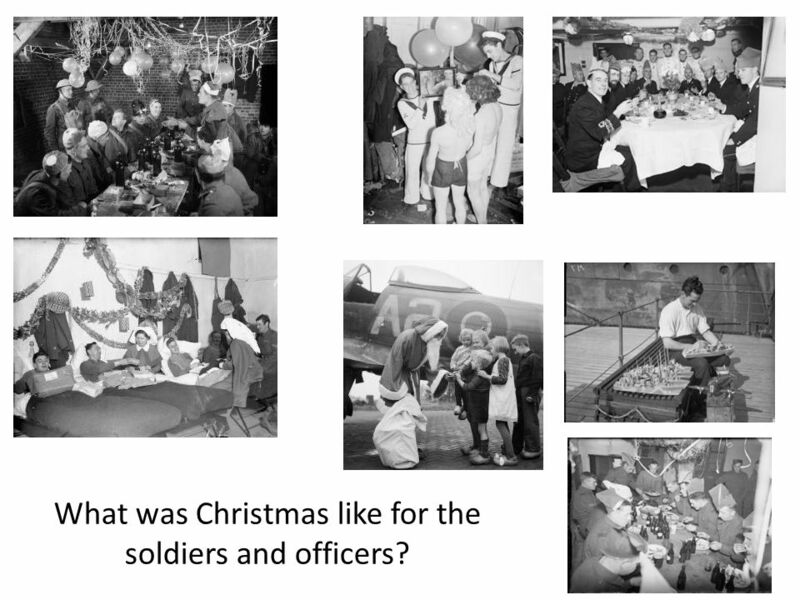 8 What was Christmas like for the soldiers and officers? 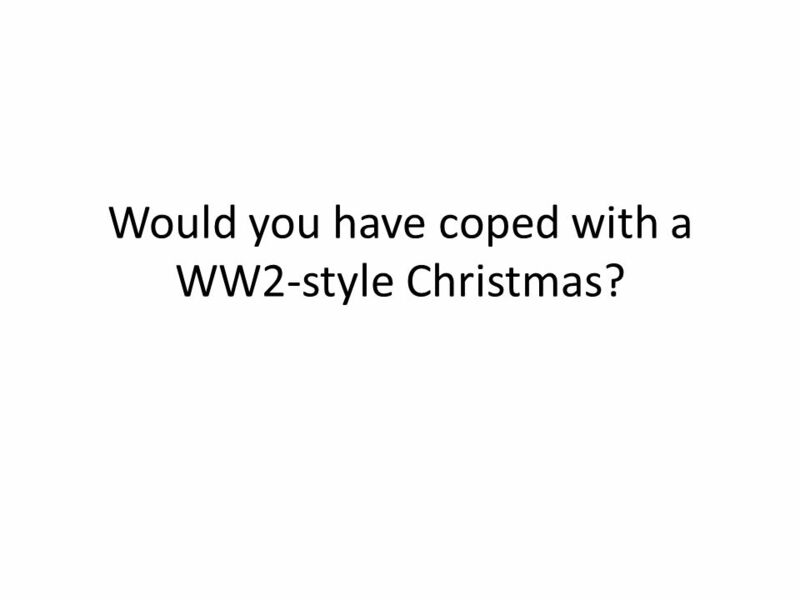 9 Would you have coped with a WW2-style Christmas? 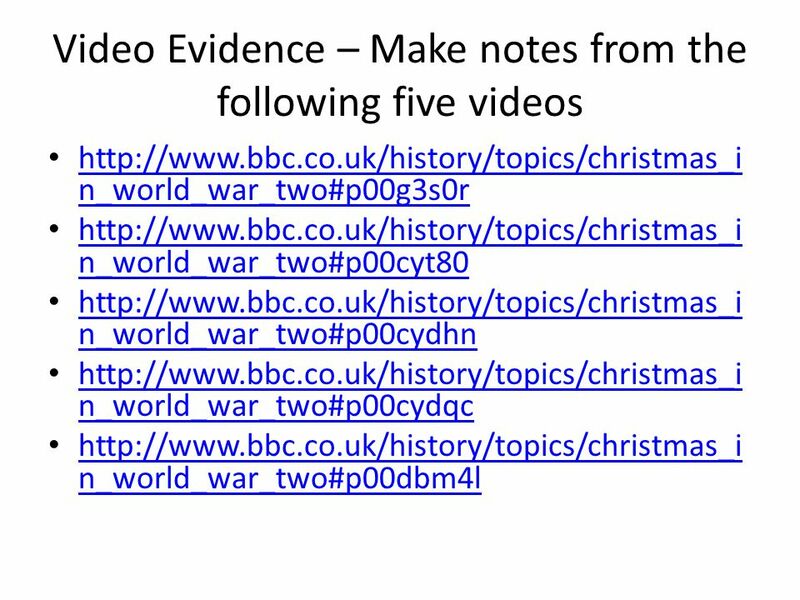 Download ppt "zcisZya6ROQ Christmas time during a war is difficult. 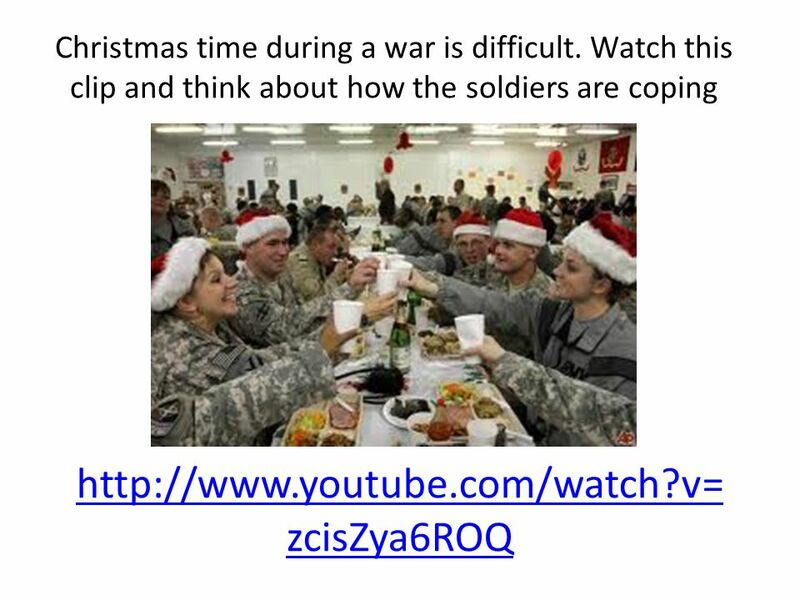 Watch this clip and think about how the soldiers are coping." In 10 May 2010, some parts of the ocean in Mexico were affected by oil spill. People collect hair to soak the oil in the ocean as hair is said to be oleophilic. Television and Radio in the UK University Foundation course Life in Britain University Foundation course Life in Britain. Press Join. Sign up USING YOUR FIRST NAME - not nicknames! Is Your Mama a Llama? By: Deborah Guarino. Case Study of a contemporary international sporting event Case Study: South Africa 2010 World Cup Finals Part 1 - Analyse the geographic factors that influenced. Preparing Language Proficiency Tests with Online Resources (1) TOEIC SLC 2012F. Da Vincis Got sporting Talent A good luck message for those representing da Vinci at City Sports on Wednesday and to everyone who wants to get involved. Utilizing Well-Known, Credible Co- workers for Site-wide Communications Stephen Smith Manager, Quality Assurance and Continuous Improvement Jefferson Lab. © Folens 2009 Paper and card engineering Lesson 19 James Playford Series Editor: Louise T Davies. Strategies: 1. Recognize the actual time devoted to the news and take note of the lead story. 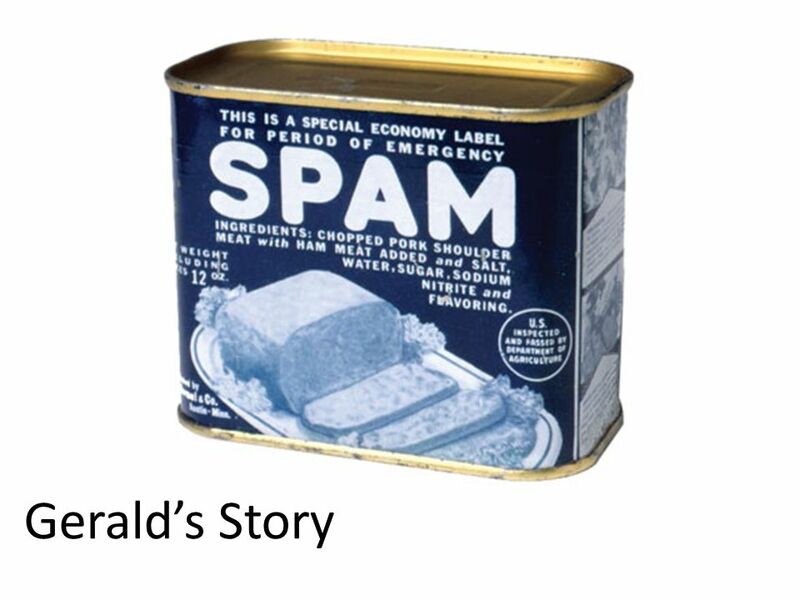 Ask yourself, why is this story leading? Typically, each. The Internet and Young Learners Alicja Wujec Kaczmarek MODN September 2011.